Introducing our Apprentice of the Month: Sherry! Favorite Part of Being an Apprentice: Being able to impart her knowledge and understanding to visitors. Future Plans: Sherry plans to study either computer or electrical engineering in college. She’s not sure of her career path but says she looks forward to applying all she has learned at KID. 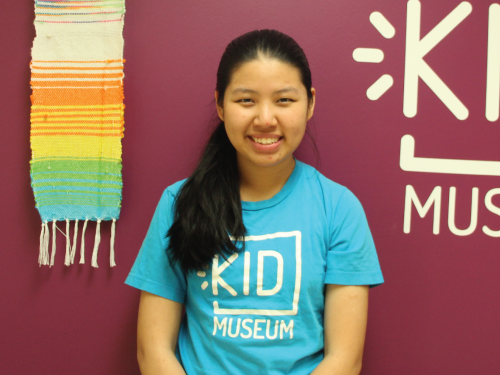 KID Museum’s Apprenticeship Program gives high schoolers an opportunity to continue exploring their STEM interests while gaining valuable work experience and earning SSL hours.